Using Shortcut Trick in GK, you can memorize GK in no time. Today i am providing you another awesome Shortcut trick in GK. 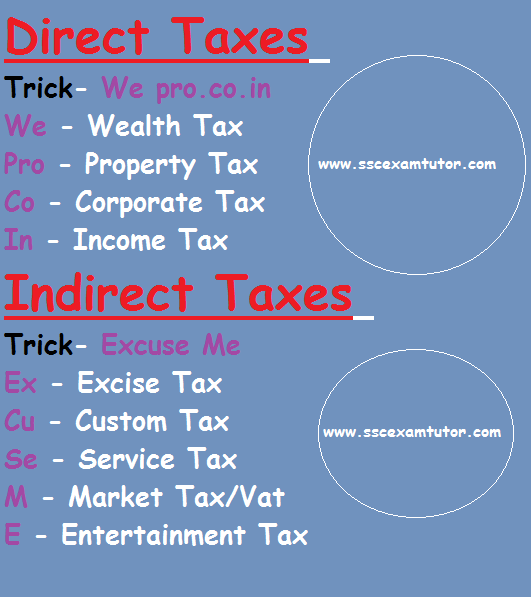 This time, this shortcut trick is about Direct and Indirect Taxes. If you are finding difficult to distinguish whether a particular tax is Direct or Indirect, just check the below given shortcut trick. I am sure that you will love it and it will solve your issue. For more awesome stuffs, keep visiting us.